Hi Alison. Thank you for a post to help teachers. 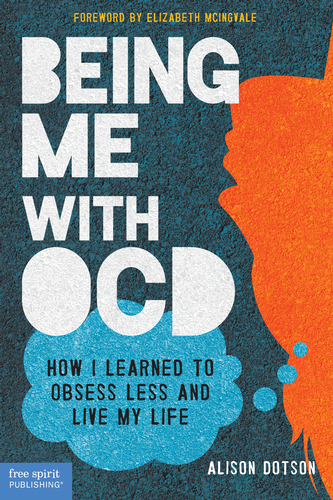 So frequently they are the main people, besides family, who experience the OCD symptoms (even if they don’t see them). A common one that kids I work with show are constantly going to the teacher with questions – often the same ones over and over. They also frequently ask for reassurance – that they understood the assignment right, that they are doing it correctly. Teachers describe feeling exhausted by them. Another one would be asking to go to the bathroom a lot. My son used to constantly leave to wash his hands, his backpack. And he’d come back in with water on his shirt. Oh, and another common one is that the child can’t seem to get out of the classroom at breaks, end of periods, or the end of the day because they are doing a ritual (unbeknownst to anyone else) that prevents them from leaving. Finally, over-cleaning. I’ve witnessed several kids who take too literally the call to clean up after themselves and they can’t stop until every last bit of whatever is off the floor. Keep up the great work! I love these tips! Thanks for your comment, Angie!